Oh, look! Shiny graphic. What does it mean? I’m participating in a big indie book sale! It means that all four supervillain books will be only $0.99 for a complete week. But that’s not all! 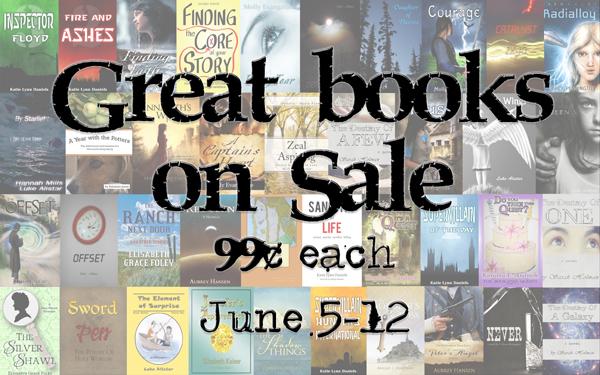 40 books, including mine, are all on sale for 99¢ from June 5-12! That’s a lot of books. This is usually the sort of thing I’d post on my personal blog, but since Floyd is a part of it, I figured I’d put up something mildly opinionated here for a change. What defines a superhero? The most obvious definition would be that the person in question is both heroic, and possesses superpowers. Obvious examples of this type would be: Spiderman, Superman, and Captain America. How did they obtain these powers? Spiderman has Spidey powers from being bitten by a radioactive spider, Superman has a variety of powers that are never fully defined as a result of being from an alien planet, and Captain America was genetically altered as a result of a super-soldier program. What do they have in common? They both uphold order and justice and beat up bad guys that ordinary heroes would run from in fear. But what about other so called “superheroes” such as Iron Man, and Batman? They have no superpowers. They’re just really rich and build cool tech and beat up bad guys. So what makes them “super” heroes? Well, for one, they qualify on the hero scale. They uphold order and justice. But they don’t just take out robbers and thugs, they also go up against supervillains. Despite having no superpowers of their own, their amazing tech enables them to face down monsters of an otherworldly type. So is one a superhero simply by job description? Then you have completely off-track character like the Hulk. Is the Hulk really a superhero? His superpower really reminds one more of a supervillain, then a hero. Ultimately his inner nature wins out over his unfortunate condition, but one can hardly call his “condition” a superpower. At least, not one to be desired. And then there’s Floyd. Well, no, because the whole premise of my series is that there are no superheroes! Just ordinary (and somewhat less ordinary) people struggling to co-exist with supervillains. But if you look at the criteria above… isn’t he? He upholds justice and order. He fights against villains of the super-variety. He has no superpowers of his own, but then neither do Batman or Iron Man. His tactics seem to resemble ninjas more then the do the Western superhero ideal, but could one argue that ninjas have their own special variety of superpower? So…. what are superheroes? Is it an inherent quality, or is it simply a job description? If Floyd is a superhero then can I still write superhero parody? What other superheroes don’t fit the standard description? My sister is one of those annoying people who know exactly what they want to do and will stop at nothing to do it. In her case this means playing violin. I have never been able to make up my mind what I want; to this day I simply flit between possible fields of expertise. Eventually, I hope, I will master them all. But that’s beside the point. The point is my determined, self-taught sister who got a violin for Christmas one year and practices incessantly, wanted to play in an orchestra. She finally got a chance to do so when she was 13, in the spring of 2009. 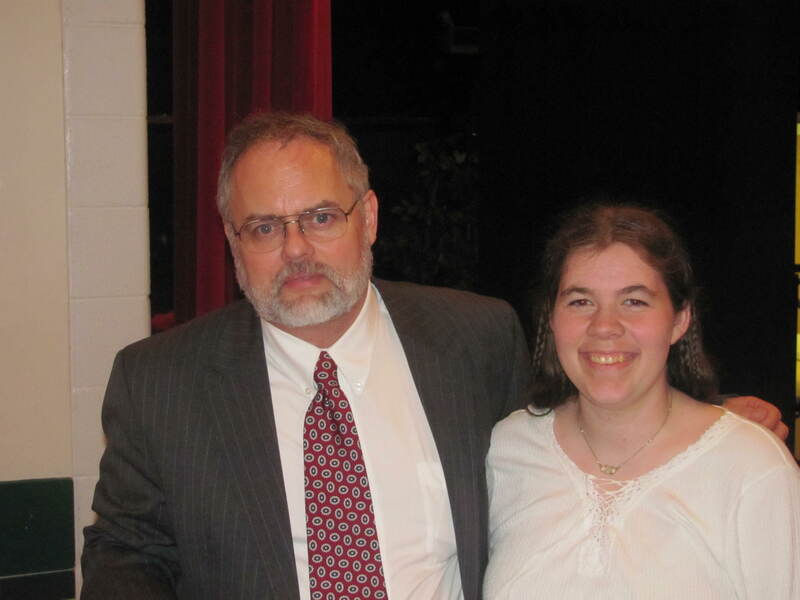 I was 19, and had just discovered Nanowrimo; just begun writing science fiction. I was also a full-fledged poet then. So there we were, in this small church, way up in Bowling Green an hour from home, and we’re met by this energetic, enthusiastic, perpetually-positive conductor. Mr. Randall Olson. And he let’s my sister audition, and seems to be impressed, and everyone else arrives, and they all go into the sanctuary to rehearse, and my dad asks if we can watch and he says sure, so we sit at a small table off to one side and observe. And continue to be impressed. If there is a tornado, will we hear it at all? You’re being so loud in this practice hall. Is that the wind howling or just your bows squeaking? You couldn’t hear a train over the noise that you’re making. You don’t want to hear about my music obsession or my thousand memories of orchestra rehearsals. I have hundreds of pictures, videos, poems, pages of notes… but I’m trying to make a point here and it keeps slipping away from me. Eventually my sister started taking private lessons from Mr. Olson. And of course I tagged along, and basked in the delight of having the Maestro almost-all to myself. He was supposed to be teaching my sister, of course, but often times half the lesson became a long involved conversation about music theory, or literature. We talked about Gulliver’s Travels. We talked about Jane Austin. Mr. Olson is a brilliant person because he’s smart and he’s funny. He’s an amazing teacher because he communicates well. He keeps things interesting. He makes correction in such a matter-of-fact manner that you never feel like “Oh I’m such a failure for not knowing that.” If someone simply can’t grasp a concept he’ll try another tactic, or come up with something ridiculous to help them remember. He makes up silly lyrics to songs so he can sing along to five-year-olds who are just starting out. No matter how busy he gets he always, always, always has time for you. I don’t play violin. I was never in the orchestra. I never took lessons from him. I tagged along for the sole purpose of sucking his time without offering anything in return except for some paltry and possibly embarrassing poetry. And yet… he included me. He never told me to go away, shut up, or leave him alone. He never said he was too busy (except in a really apologetic I’m-rushing-out-the-door fashion) or treated me like an interloper. He was actually liked said poetry. He always asked me how I was doing like I actually counted, rather than just being my sister’s chauffeur. So why Inspector Floyd? Because when I wrote Inspector McCormick it made me think of Mr. Olson. McCormick is the exact opposite of every cop on every TV show ever. He noticed Floyd, noticed he was good at something, and then let him help with his case regardless of who Floyd was, how annoying he might be, or what his qualifications were. Cops on TV shows are always all “This is police business. Move along. We don’t need you. Shut up and go home.” McCormick has more insight and understanding, and he eventually persuades Floyd (spoilers) to become a full-time consultant, over the protests of everyone else on the force who complain about procedure. He includes Floyd even when he doesn’t belong there, just like Mr. Olson would include me. There was nothing that could make me happier than when the orchestra was clapping out rhythms, and he would look at me scribbling in my corner and order me to clap too. And so, Mr. Olson, this book is for you. For including me, even when I had no business being there. Mister Olson, we thank you. Why is it called Inspector Floyd? What skills can Floyd possibly bring to the police station? What’s with all these rumours about a new character? Well, you’re about to find out. Because Book 3 is here! Go read and enjoy and comment and review and tell me how you like it! Wait, wait, you say. Where’s the straight up Amazon print version? Weeeeell, it can take 5-7 days to appear. And usually I do all this in advance, (which is why the publication dates on Amazon are all wrong) but we’re running a teeny-tiny bit behind on this book. Well, maybe quite a bit behind. Maybe about 5-7 days. Supervillain of the Day is FREE! Orders for signed copies of Inspector Floyd also close on Sunday, so get yours now! How many of you own a copy of Supervillain of the Day? Very good. How many of your read all the way to the end? Remember those pages in the back with all kinds of miscellaneous oddities? Remember the one about submitting corrections? Remember the comment about the Omnibus version? Well. There is going to be an omnibus version of Supervillain of the Day. The Complete First Season. All six books plus a holiday special. And this amazing volume is coming out at some undefined point in November. Get all excited! Not only will the Omnibus version contain the entire first series, it will contain them in their revised and updated form! I’ll be going over all my books yet again to polish and edit and update wherever the fancy takes me. This is your chance to exhibit your great knowledge and point out any mistakes I may have made! To submit an error simply comment below! Please specify the type of error, mention which book it is, and give me a page number. For spelling and grammar errors please also include part of the sentence in which the error occurs. For factual errors please give me the correct information as well. Why should you do all this? I’ll tell you why! 3. Every new error you submit (check previous comments!) will be an entry into an exclusive drawing for a signed print version of said Omnibus! And by exclusive I mean just for you error submitting people! Hello everybody! I’ve got more excitement for you. First of all, the Supervillain of the Day Audio Drama is going on hiatus. Not an indefinite one, never fear. We are simply taking a month off to get back on track, and hopefully never miss a deadline again! The second and third parts of Fire and Ashes will be posted as soon as possible without fanfare or strings attached, and then we will return with Inspector Floyd in June. If you’re interested in being a part of the audio drama (especially on the production/marketing end) please shoot me an email! Next up is the official Supervillain of the Day twitter account! 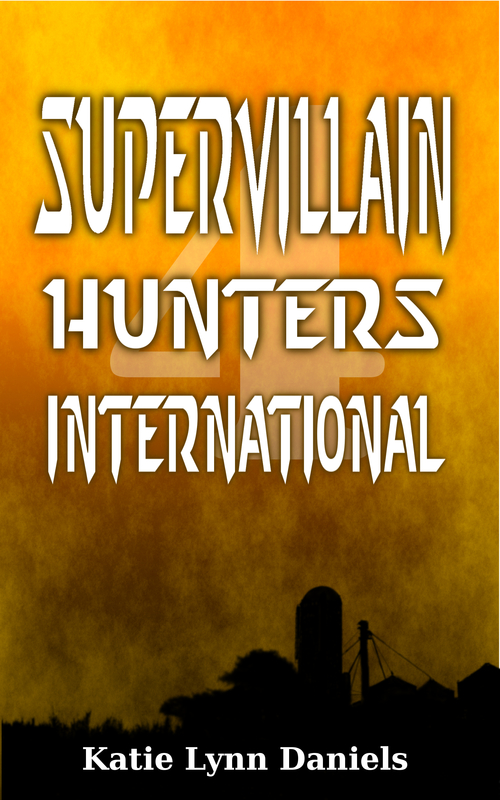 Follow us @SupervillainOTD for all the cool news and updates. If you don’t already, you can also follow me (@danielskatie) and Floyd (@jeffryfloyd) and our guest writer Rachel Kays (@RAK1954). Got all that? Good! Next up is the upcoming release of Book 3: Inspector Floyd. You’ve all waited very patiently for two solid months for this book, and your patience shall be rewarded. Yea, even with pre-orders shall ye be paid back. 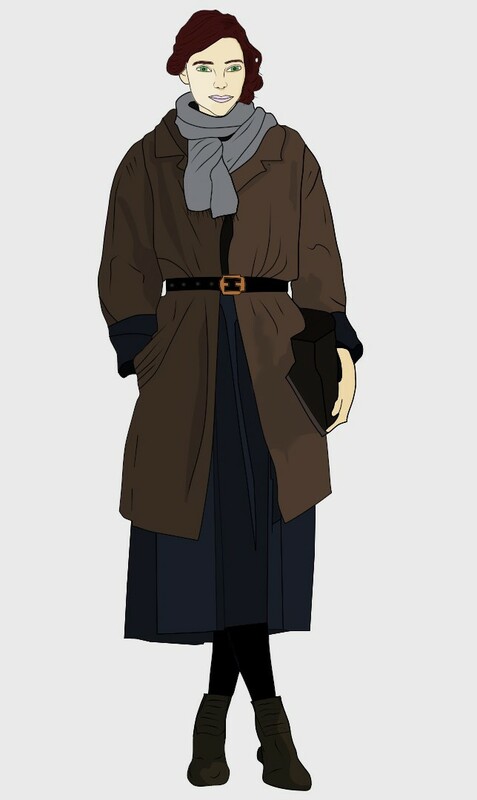 That’s right, I’m opening pre-orders for Inspector Floyd now! Free shipping and signatures are included. If you want a special dedication or a different name then the one you order under please include it in the special instructions box. I’ll ship orders sometime during the week after the release. Meanwhile, dont’ forget about the Goodreads giveaway! I’m giving away two copies over there, and over a hundred people are requesting already. Spread the word! And, to make that weekend even better, I’m running an ebook sale on all three Supervillain books. So mark your calenders! I know, I know, you came to get your new episode. Sorry about that; I’ve had the worst luck with actors getting sick. Hopefully that’s over now! The episode is mostly done and will be up in the next day or two, and you can all critique my editing ability. Meanwhile, there’s news and pretties! Supervillain of the Day has a trailer now! Check it out! Show all your friends! This is very exciting! You’re right, it’s a new character, but who? Here’s a hint: it’s a teaser from Book 3. Ah yes, Book 3. 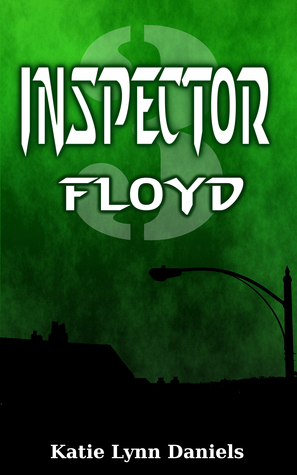 Inspector Floyd releases on May 3rd. We have an ISBN now, and I’m working furiously to finish the rewrites so I can work on the script adaption. I’m also giving away two copies on Goodreads! Check out the details below. Giveaway ends May 03, 2013. Yes, this is a media heavy post. Enjoy! But don’t go yet, there’s one more bit of news before I sign off. To celebrate the release of Inspector Floyd the first book in the series “Supervillain of the Day” will once again be free on Kindle! Well, shut up, I’m not done yet. Both sequels “Fire and Ashes” and “Inspector Floyd” will be only $.99 for the three days following the release. Mark your calenders. On May 3-5 “Supervillain of the Day” will be free, and “Fire and Ashes” and “Inspector Floyd” will be $.99. Got that? Good. Check back in a day or two for the new adventure. And enjoy! Recently, Floyd, the Author and I recieved a very interesting list of inquiries from a young fan. The debate that ensued was inevitable, and the subject was an old one: who got to reply to these questions? Floyd insisted it was his turn; he hasn’t had a post in several weeks. The Author said she was the only one qualified to answer the questions. Floyd retorted that he understood himself perfectly well, thank you very much. The Author retorted that he was well known for coloring the truth when it came to details about himself. Floyd said she went out of her way to embarrass him. And so the argument raged. In fact, it’s still raging. I sort of quit listening. Because, after all, if it’s anyone’s turn to write a post on this site, it’s mine. I’ve never done so. Mostly because I’ve never really had anything to say. Well, now I do. I know Floyd as well as anyone possibly can, and that makes me qualified as well. And the look on their faces when they realize I’ve solved their argument will be well worth the trouble, and any repercussions Floyd might see fit to attempt. Nobody knows. Since he never told us his real name we don’t have any way of finding out what it was. When he was pretending to be human he called him Joseph Smith, but it’s most likely a pseudonym. As for an official supervillain name…. I’m afraid Lab-coat is the most official one he’ll ever get. He never gave one to himself and Floyd is not known for his officialness in assigning names. He shot him. Turns out that even being a giant doesn’t make you invulnerable to bullets. Upon checking the book I see that he was somehow missed on the list of casualties… I’ll make sure the author fixes that when she does revisions in November. The Giant Green Monster. Like I said, Floyd isn’t very good with names. No, his smelling was normal. He was just used to working with super-humans, and mentioned that Floyd seemed more like them then like a normal person. He didn’t know he was alien; he just knew there was something wrong with him. not that surprising, actually. It’s really not hard to tell that something is wrong with Floyd. I don’t know, he won’t let anyone measure him. And he slouches, which makes it hard to tell. I’d guess around five feet. No, it was just a stray. Since Lab-coat was able to manipulate her, I think she probably was. 8. Does Floyd ever sleep when he’s not regenerating? Yes. He sleeps about 4-5 hours a night usually. No, this isn’t Doctor Who. The actual regeneration process is actually quite different. A better description would be accelerated healing, but then who asks me about descriptions? Any time he gets hurt, even just a scratch, the nanobots “regenerate” that area, causing it to heal within minutes. Worse injuries take longer. There’s actual a detailed description of the process in Book 5. 2. How did Floyd get to the Department of Help and Relief Services, because on page 92 book 1 Floyd says that he was kidnapped and on page 1 book 2 it says that his sister sold him for 10,000 galactic credits to help start her marriage off well. Both are true. Basically, his sister was an accomplice to his kidnapping. Either way he was taken against his will. There’s more about that in Book 5 too. He had a really smoky transporter. Sort of like Einsteins. Sticking straight up as though he’d been subjected to a large shock of static electricity. I think it looked that way because of his transporter. I think he accepted that he could do good in the world and be a hero to some people, even if he didn’t feel like a hero, or was one to himself. You can be heroic without accepting the title, if you know what I mean. Because that’s what people do when they don’t want to face their problems. It’s a stupid idea, usually with unpleasant consequences. People, usually. Buildings, sometimes. Pretty much the same sort of things that people take pictures of now. He’s actually stronger than he looks, and he’s been trained to kill people efficiently. He knew how to do it, I guess. Now, if I told you that you really would know everything. 1. What is Floyd’s favorite article he’s written? For the London Star? Probably “Why the World Doesn’t Need Superheroes” from Book 2. Everything else is just fluff, according to him. 2. What is Floyd’s favorite color? 3. What is Floyd’s favorite animal? 4. What is Floyd’s favorite supervillain power? As in… which one can he defeat the easier or which one does he hate the most? Honestly, I don’t think he likes any of them. 5. What is Floyd’s favorite ice cream flavor? Floyd, have you ever had ice cream? Ice cream. Cold, sweet, frozen milk. I don’t know. I can’t tell your Earth foods apart, except for the really disgusting ones. Why? Why do you care? 6. How did Floyd get to Earth after being sent from his home planet? An automated space ship dropped him off. 7. Has Floyd ever watched a movie and if so, what is his favorite movie he watched? He’s seen a few, but never really got into them. He also claims to be too busy for anything fun. 8. Has Floyd ever played board games? 9. Has Floyd ever eaten italian ice? 10. How did Floyd break Doctor Sinister’s neck? You asked this one already. 11. What color is Floyd’s hair? 12. How much money does Floyd get paid for his job? Well, he gets paid by the story. I don’t know exactly, but I think it comes to about fifty pounds a week. 13. Will Floyd ever clean his flat? No. It eventually gets demolished by a supervillain. 14. When Floyd came to Earth how did he end up in England? He started out in California, USA, and sort of wandered, hitchhiked, and stowed away until he ended up here. 15. Has Floyd ever read Lord Of The Rings? 16. What besides being a photographer did Floyd do on his planet? Hung out with friends, partied, wandered around the city, bothered his sister, and generally lived a normal life. 17. Can Floyd speak any other languages that english? Two. His home language and the intergalactic standard tongue. 18. Can Sergeant Adams speak any other languages that english? 19. Does Floyd have a tv in his flat? 20. What does Floyd eat? Whatever happens to be available. 21. What does Floyd like to eat? So you all know by now that there’s an audio drama version of Supervillain of the Day. And if you go to the proper page you can see a schedule of upcoming episodes. And if you look at the schedule you will see that there are more episodes then there are books! In fact, sandwiched in between “Supervillain Hunters, International” and “Dreams and Shadows” there are two whole adventures you’ve never heard of! That’s because they’re new, audio drama only exclusives, written by my very good friend and supervillain enthusiast Rachel Kays. And now she needs your help. If you look at that list again you’ll see the first of the new adventures is titled “The Adventure Begins,” while the second one is only titled “TBA” which means “To Be Announced.” I’m about ready to announce it, so I asked if she had any title suggestions. She said she didn’t really have a plot yet, but once she picked out a supervillain to feature in it she’d come up with one pretty fast. Well, says I, pick a villain. Wait, she says, I have a better idea. How would you like to pick the supervillain for the “TBA” adventure? Now’s your chance to give input to the series! I’m working on writing some adventures, and I need your help. From the Fan Villainy list on the Supervillain of the Day website (located here: http://supervillains.katielynndaniels.com/supervillain-database/fan-villainy/), what villain would you most like to see be in the audio drama? Post below and let me know! If you can’t decide on a villain or don’t see one that you’d like to see, submit your own! You can do so here: http://supervillains.katielynndaniels.com/fun-stuff/create-your-own-supervillain/ But remember, if you create your own, let me know here that it’s made and that you’d like to see him/her in the audio drama. To submit a request simply post a comment on this post, or on the Facebook page!